The fire at Colne Mill in Slaithwaite on 1 August will probably mark the end of textile manufacture, or indeed any industrial activity on one of the oldest mill sites in the Colne Valley. In fact Colne Mill is a corruption of Corn Mill and the site was known in the 19th century as the Old Corn Mill. There appears to also have been a fulling mill on the site since Tudor times. According to a report by Mike Shaw in the Huddersfield Examiner of 3 December 1981 work on the mill dam in 1959 revealed an ancient pentrough and stone arch beneath the existing dam which was assumed to date from this earlier period. By 1834 Joseph Varley was carrying out cotton doubling with jennies powered by a 8hp water wheel employing 19 people. There is a hiatus in the record until 1870 when the mill was occupied by Joseph Hirst &. Jonathan Brierly, who in that year held a treat for their workers at the Commercial Inn. The following year J Brierley separated his business from Hirst and moved to Bankgate Mill a few hundred yards away, above the railway viaduct. 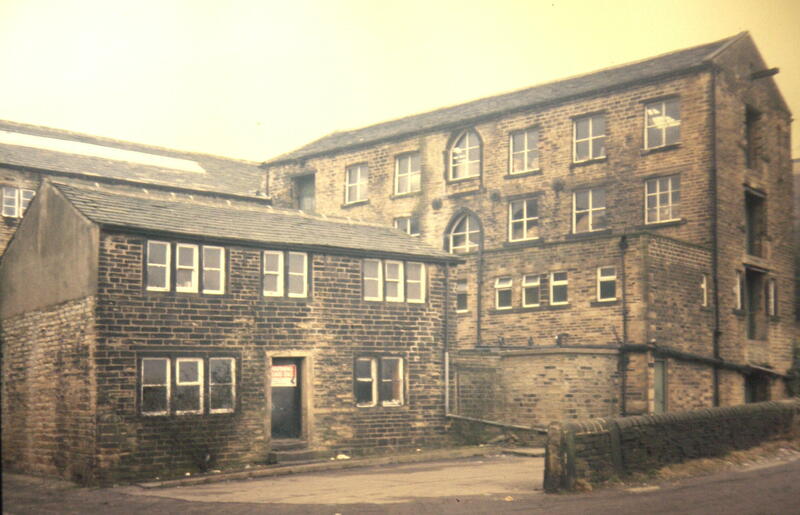 Joseph Hirst was a former handloom weaver and putter out who first moved into a mill in 1868 starting business at Low West Wood, Linthwaite. He appears as a woollen manufacturer in the 1881 trade directory, shortly after he bought the Old Corn Mill and built a new shed and added other improvements. In 1883. Hirst Bros.&.Co dissolved their partnership, selling off machinery including scribblers, condensers, and fulling stocks. Joseph Hirst died in 1890 and the mill was put up for sale in1891 when it was described as being 3 storeys, with a weaving shed and powered by a horizontal steam engine made by Robert Taylor & Sons of Marsden. Twenty two power looms were also advertised. It was withdrawn from sale however when offers failed to exceed £2,500. It was bought the following year by Joseph Beaumont jnr . By 1962 they were manufacturing tweeds and ladies cloths, employing 3,150 spindles and 44 looms. They closed down in 1979, making 75 workers redundant. 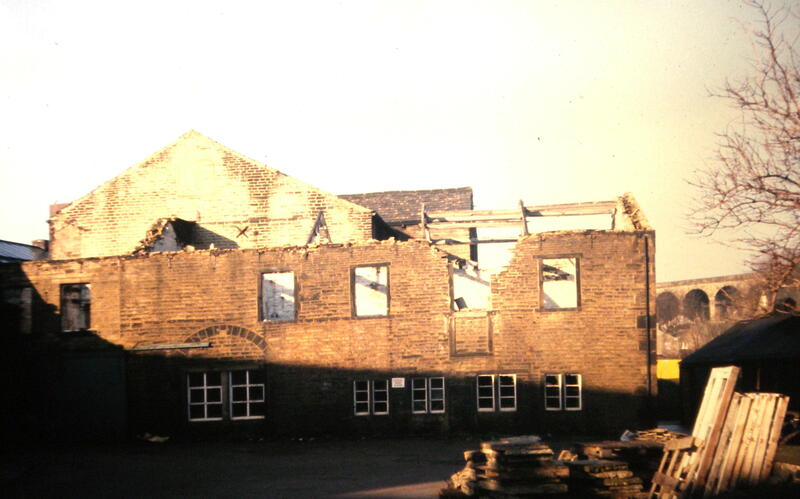 The next owners, Kevard Textiles, caused controversy in 1981 by partially demolishing the oldest existing part of the mill complex, a two storey building dating to the 1790s. Councillors failed to halt the demolition of the remainder. The current site is earmarked for a supermarket. No doubt the destruction of the remaining part of the mill by a mysterious fire is total coincidence. The sale in 1891 must have been early in the year because the 1891 census (taken the night of 5th April) shows Charles Henry Beaumont and family in residence in Varley’s Fold. The adjacent entries are for the Masonic Hall and the Conservative Club. From this is it fair to deduce that Varley’s Fold was in fact the mill yard for Colne Mills accessed via the opening off Britannia Road? CHB (aged 33) describes himself as a woollen manufacturer in the census. Also in the house on that night were; his wife Martha Jane, and three year old son Joseph E. Visiting were his brother Wood Beaumont (five years CHB’s junior) – Woollen Manufacturer, wife Abigail and four month old son, Charles Wood Beaumont. Alberta Beaumont (wife’s sister and incapacitated) also lived there. We believe that the Beaumonts were managers / owners? of Colne Mills at this stage. However the 1881 census shows CHB in partnership with his widowed mother as smallholders and Listing Manufacturers at New Ing near Pole Moor, so this was a big jump to come to Slaithwaite to run a woollen mill. CHB probably had financial backing from another woollen manufacturer. The 1894/5 Whites Huddersfield Directory has an entry for Joseph Beaumont Jnr. At Colne Mill, Slaithwaite. This is the first instance where the name Joseph Beaumont Jnr. is mentioned in surviving records. What was the inspiration for the unusual name? Joseph was a family name, both CHB’s father and son had the same name. But what about the unusual addition of ”Junior”? It could be to distinguish the firm as a separate entity from the firm of J & R Beaumont at Spa Mills. The J of the partnership also being Joseph. Whether the two Beaumont families were related and whether J & R Beaumont put up the capital to buy Colne Mills is not known. The next two census returns show that CHB now lives in Colne Villa but still next to the Masonic Hall and the Conservative Club. Suspect that the family has not moved, just renamed the house in Varley’s Fold. By 1911 the two sons Joseph E. and Charles Wood are also in the business. February 1913 CHB died and was buried at Pole Moor Chapel cemetery. The obituary in the Colne Valley Guardian of 14th February 1913 mentions that CHB also ran Shaw Carr Wood Mill. This is borne out by trade directories and the fact that the Hirsts had both mills – see Kelley’s directory of 1889. Wood Beaumont and the two sons continued in partnership at Colne Mills until 1924 when the partnership was dissolved. Wood Beaumont and his son Charles Wood left the firm and Joseph E. continued with a new partner, James Bradley. It appears that the Shaw Carr Wood mill was no longer part of the business in 1924. Five years later, in 1929, Joseph left the partnership leaving James Bradley in sole charge. In January1942 the mill was closed under the wartime Concentration of Industry legislation. A small caretaker workforce was left and the rest of the employees were redistributed to other mills in the Colne Valley working for the war effort. March 1942 James Bradley died and was buried at Slaithwaite cemetery. At the end of hostilities the mill was opened to produce woollen cloths as before by Neville Sykes. An ambitious reorganisation plan took place in the 1950s which included a new building to accommodate carding and spinning and a yarn store where the dam once was. During this period Joseph Beaumont Junior was made into a limited company. Neville Sykes continued until his retirement in 1975 and was succeeded by his son Roderick Sykes until 1979 when unfavourable economic circumstances forced Joseph Beaumont Junior Ltd. into receivership. Thus ended the name of Joseph Beaumont Junior after almost ninety years. Sybro / Kevard Textiles bought the assets from the receiver. The 20th century nickname for Colne Mills was “Old Wallets” or “Owd Wals” after a previous proprietor who carried his money everywhere in, and paid his bills from, a scruffy old leather bag held by a strap over his shoulder. Whether this character was a Varley, a Hirst or a Beaumont is not known but certainly the name was coined before Bradley and Sykes came on the scene. Low West Wood Mills is the oldest surviving mill in the Colne Valley, with parts dating to c.1800. Sadly, despite a long campaign to save it, it has been allowed to fall into such a state of decay that demolition may be the only course left. For the first half of the nineteenth century the history of the present Lower West Wood Mills is interwoven with a mill several hundred yards down the valley, (later called Beaufort Mill), which was on the site now occupied by Titanic mill. Together they comprised the upper and lower Low West Wood Mills , both part of the Saville estate and from the 1790s, both leased to the Shaw family. The lower mill was the senior, originally being a fulling mill, dating from the seventeenth century. By 1794 the Land Tax Returns show the property at Low West Wood to be occupied by James Shaw. In 1798 they record a tax valuation for a ‘new mill’, though it is not clear whether this was at the upper or lower mill site. In the 1790’s, throughout the Colne and Holme Valleys, the new scribbling and carding machinery was being housed in old fulling mills or in new buildings adjoining them, using the same water power, so this may be an addition to the the lower mill. A 21 year lease in 1799 records the letting of property, including mills for the scribbling and carding of wool and fulling of cloth at £398.17s per annum, to James Shaw, of Lower West Wood, clothier. Low West Wood Mill and Lower Low West Wood Mills on Golcar Township Map. The first specific reference to the upper mill appears in the records of expenditure for 1801, when outlays on a new building for scribbling totalled £850 and work on the dam embankment, byewash, pentrough and wheel race (parts of the water course) and the water wheel cost £270. By 1824 both mills were occupied by James Shaw’s sons John, Jonathan, Joseph and Eli , also described as clothiers. Since they are not simply called ‘millers’ this would indicate that, as well as running the mills, they also put out work to domestic handloom weavers. In 1824 several expensive improvements were carried out on the upper mill including the part rebuilding and extension of the west side of the scribbling mill and the erection, adjoining it, of a new two storey fulling mill 55ft 6in x 46ft 2in. The water courses were substantially rebuilt including the dam embankment, shuttles (sluices) and goits at a cost of £260 and a new iron water wheel installed for £290 along with an improved wheel race and wooden and stone pentroughs for £110. Auxiliary steam power was added to supplement the water wheel in 1826 when a two storey steam engine house was built for £30 and a 30 yard high chimney for £79.10s. When the Factory Commissioners issued a questionnaire to mills in 1834, J.J.&.E.Shaw replied that their water wheel generated 20 horsepower and the steam engine, which was only occasionally used, 16hp. Fifty four people were employed at scribbling, slubbing, spinning and finishing, including children under 12 who worked as piecers or at clipping and cleaning teazles for finishing. Joseph also appealed against a proposal to raise the annual rent for the mill, land etc to £200 explaining he was hundreds of pounds in debt for money borrowed to install machinery and that he and his family has expended over £11,000 on the mill and estate. Around 1835 they had spent £583 on iron water wheels and shafting , in 1846, £217 on repairs and further money on the weir 1847. 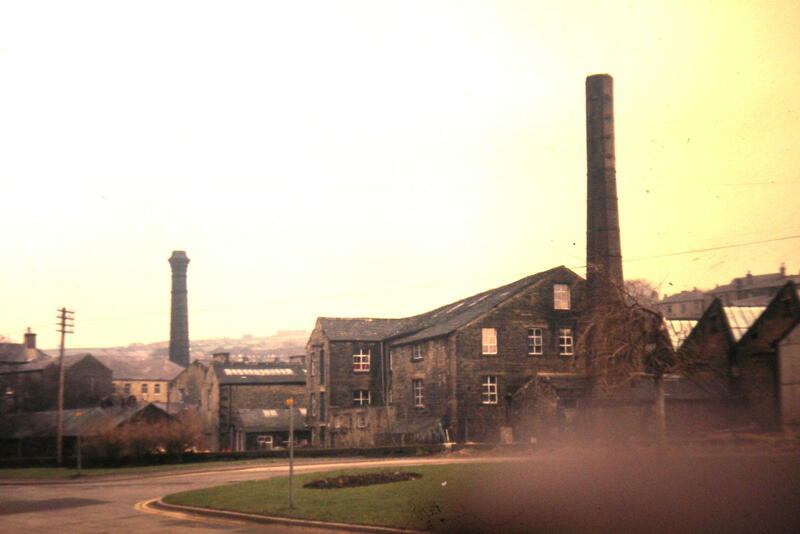 The trade depression of the late 1840’s had also had a serious impact, ‘We needly scarce remind you,’ Joseph wrote, ‘ how mill property has generally depreciated in the manufacturing districts, rents in the neighbourhood have been greatly reduced, and the 10 hour factory act operates against us, being equal to one day in each week taken from us’. The Shaws survived for a few more years at least, being recorded in the 1853 trade directory, but perhaps not much longer since Thomas Hirst & Sons were established at the mill sometime in the 1850s. It may have been they who introduced power loom weaving to the site. 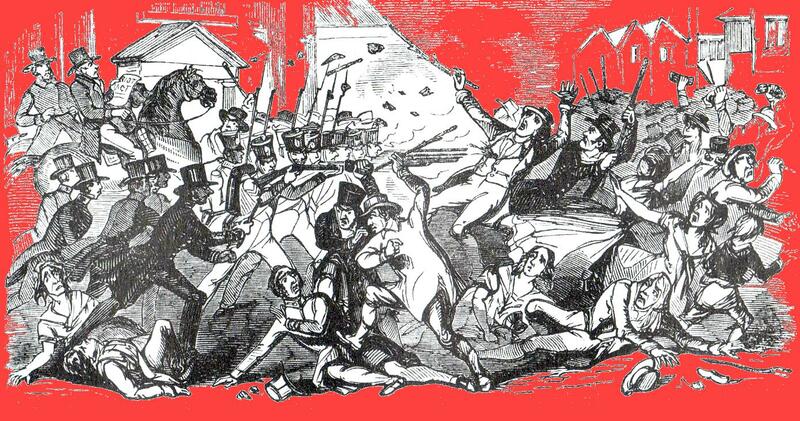 In 1865 they avoided a dispute by conceding a wage increase to their weavers. Some alterations were done to the weir in the 1850s leading to complaints from the Radcliffe estate which owned Lees Mill, the next mill upstream, that backwater was being created. A civil engineer, George Crowther, was brought in to arbitrate and set a bench mark for the proper height of the weir. In 1873 James Hirst, one of the partners in Thomas Hirst & Sons, died and two years later John Hirst was declared bankrupt and some of the machinery put up for sale. When he died in 1878 the remainder of the machinery was sold off and, the following year, room and power was advertised to let at the mill. The next occupants were John Sykes and Sons. Joseph Sykes retired in 1894 leaving John Edward and Arthur to run the firm until it moved to Marsden in late 1897. By then they were employing over 20 male weavers at Low West Wood, who threatened to strike when Sykes tried to reduce wages in line with the lower rates in Marsden. ‘Three Stone-Built Main Mills, on the West and North sides, being L shaped, four and three storeys high, supported by Iron Pillars two having Single Span and one Double Bay Grey Slated Roofs, respectively 60ft. by 25ft., 84ft. by 32ft., and 77ft. by 46ft. The motive power was provided by a 16 foot diameter waterwheel with a 14 foot breast and a 14 foot fall of water and by a compound beam engine. The latter, along with the double-flued boiler and shafting was owned by John Sykes and Sons, who agreed if they were offered a fair valuation, would leave it in the mill for the buyer. They suggested £280 as a fair valuation since they had spent, in the space of 18 months, £250 on installing a new economiser and having the beam engine compounded, that is, being upgraded by the fitting of a new high pressure cylinder. This may have been done around 1883 when Taylors of Marsden had carried out work on the boiler. This was possibly the original steam engine from 1826. The mill did not reach its reserve price at the auction and it was then, still empty, sold, with the associated premises and land, by private agreement to Joseph and John Edward Crowther, members of the leading textile dynasty in the Colne Valley, thus ceasing to be part of the Saville estate. In 1899 the Crowthers advertised the mill to let and in December it was leased, with an option to buy for £3,000, to Albert Edward Cotton of W.E.Cotton & Sons Ltd. This firms had recently been registered as a company with £40,000 capital in one pound shares carrying on the business of cotton, wool and waste merchants and dealers in raw materials like oils, yarns and soaps for the textile trades. They also occupied Black Moor Holme. or Tag, Mill at Slaithwaite. Low West Wood mill was used for the mungo and shoddy branch of the trade, employing 30 to 40 workers. The company’s new ornate billhead included an illustration of the mill, which, while schematic, clearly depicts the existing L shaped block and a three storey building which may have been demolished not long after. The firm got off to a bad start when, in September 1900 a fire in a carding machine spread destroying almost £3,000 worth of machinery and stock and seriously damaging the building. Three mill fire-engines and the Huddersfield Borough engine ‘Phyliss’ fought the blaze and, using water from the canal, prevented it spreading to adjoining parts of the mill. Albert Cotton died in 1905 and a valuation of the mill and motive power by Eddison, Taylor & Booth put the whole at £2,000. The firm continued trading as . W.E.Cotton & Sons Ltd, and appeared in the 1910 Yorkshire Textile Directory as ‘raw cotton and cotton waste merchants, wool washers and shoddy manufacturers’. Modernisation of the mill continued and in 1911 the chimney was raised to 33 yards. At least by 1913 electricity had been installed, generated by a J.H.Holmes dynamo run off the waterwheel. An inventory for 1913 also describes the wrought iron, two flued Lancashire boiler, 30 foot by 7 foot with mountings, the Meldrum patent forced draught furnace by Robert Taylor & Co and the compound condensing beam engine, with 17in diameter, 2’6″ stroke high-pressure cylinder and 23in diameter and 5ft stroke low-pressure cylinder. In 1915 a new Pollit & Wigzell, 200 indicated horse power, tandem, horizontal compound condensing engine, with 101/2 inch high pressure cylinder and 2ft 6in stroke, with Corlise valves, and a 21 inch low-pressure cylinder, was installed and the old belt drive system replaced by a 10 foot diameter, 6 groove fly wheel carrying 450 feet of cotton driving ropes. A new Hewitt & Kellett steel, two-flued, 30foot by 8foot Lancashire boiler, with Hopkinsons mountings, was put in by 1920. The new engine made the water wheel redundant and in the early 1920s it was taken out and replaced by a 85hp Gunther & Son water turbine, using 45,000 cub/ft of water a minute to achieve 250rpm. Remains of this are still in situ. In 1941 the mill narrowly escaped destruction by an incendiary bomb and in 1946 some damage was done by severe flooding which affected the Colne Valley. The demise of the steam engine is not recorded but the mill chimney was felled in 1962. Chimney felled. The mill remained in the possession of W.E. Cotton and sons until its closure in 1981 when it was valued at £70,000. The dimensions of only one of the three main mill blocks, ‘the Canal Mill’, presumably the oldest part of the mill adjacent to the canal, coincide with the description from the 1897 sale, indicating the scale of rebuilding which had taken place in the twentieth century. Must be some relation, I am one of the Varley’s of Slaithwaite! Did titanic mills manufacture anything.? Yes. It is just that my notes so far end with the building of it. The Joseph Varley youbrefer to at Colne Valley Mill you is one of my ancestors – and he lived at Varley Fold in Slaithwaite which also gets a mention, so this piece is something of a goldmine as far as I’m concerned. Many thanks for this and all your other very interesting articles. Dear Alice, thanks for your comment and interest. There’s more about the Varleys on my ‘Brooks of Larchfield Mill’ page. Sharon, thanks for your enquiry. I will look at my notes, but I think all I have on the Liveseys is on the website.